Hello everyone! I am back to share with you a very special card that I made, dedicated to our Kat Scrappiness Design Team Coordinator, Deb Peterson Rauch. 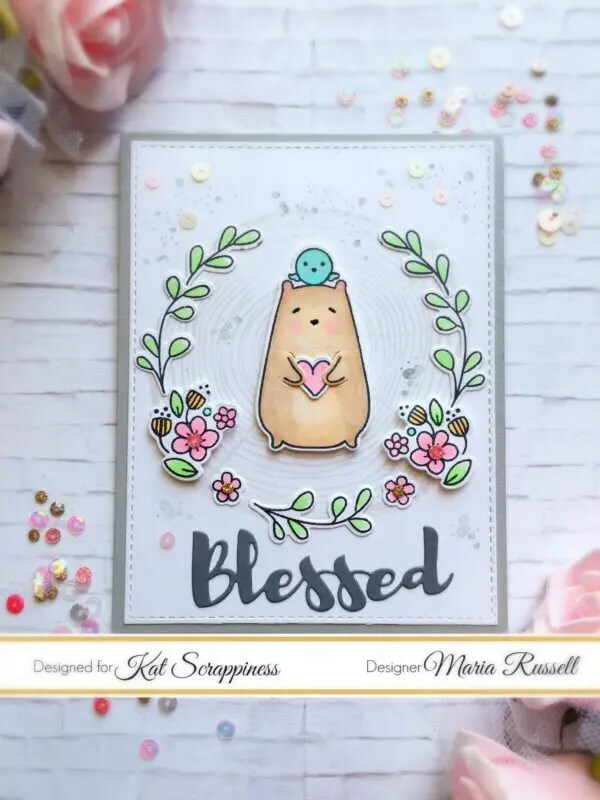 I am showcasing the Bear and Bird stamp set and its coordinating dies, the Concord & 9th Tree Ring Background stamp, Kat Scrappiness Double-stitched rectangle dies and the Blessed Scripty dies, plus other products available at the shop. I will not have any step-by-step instructions or a process video for this card. It is very simple but I love how it turned out. I hope you like the card today and got inspired. The supplies I have used are listed and linked below. Have a blessed and wonderful day!